I have been on a quest to get my family eating in a more healthy manner, and to save money in the process. A name that popped up over and over as I tried to implement something, anything, was Sue Gregg. So I was thrilled to discover that she and her cookbooks were part of the TOS Homeschool Crew this year. 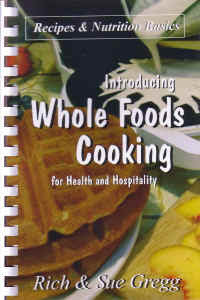 Sue Gregg and I emailed back and forth a little bit, and she determined that my family would receive her Introducing Whole Foods Cooking book. Imagine my delight when the package arrived... and included with the book was a note giving me suggestions and page numbers for using her book for my oldest son's Cooking Merit Badge work (I had commented on how he needed to do some meal planning for that merit badge in one of the emails). I loved the personal details. So, the book arrives, and I sit down with it to start figuring out how to tackle this review. And pretty quickly I discover something that I do think is really important to point out -- this isn't exactly a cookbook, in the sense of it being 100-some pages of recipes. There are actually very few recipes in this book. Most of the book is teaching material -- teaching you (and your kids) about nutrition, about how to add more whole foods into your diet, about putting together a menu, about keeping costs down, etc. And there is Bible study included as well, which I found fascinating. There are also recipes. A couple dozen of them. And we did try almost all of them. This section is a mere two pages, packed with information. First is a general overview of what legumes are and what nutritional value they have. She addresses the health benefits of legumes (things like controlling blood sugar levels, lowering blood pressure, etc.) and lists out a bunch of different types of legumes. She recommends choosing dried legumes, and explains why. The second page addresses how to cook legumes, and why she recommends what she does. I particularly LOVE that she addresses the best method for old beans. I just found a bag of kidney beans in my pantry that I have no recollection of ever purchasing. Still-hard beans are not a family favorite (ask me how I know) so choosing this page today was fortuitous indeed. Anyway, this page addresses soaking the beans, and cooking them on the stove top, in a crock pot, or in a pressure cooker. And she references a recipe in the book for an example. After learning a lot about various types of food, and trying some of the recipes, I discovered a couple of fantastic pages in the "Next Steps" section. One had to do with the family taste-test. I already knew from my initial series of emails with Sue Gregg that she recommends you have your family rate and discuss each new recipe. This page gave me more ideas for how to discuss new foods. And then she addresses how to revise your recipes. Her main idea is to take things one step at a time -- usually, drastically changing your eating patterns is going to cause a lot of problems. Her approach is to incorporate changes into your life more gradually. And her list of how to revise a recipe is fantastic. Step one is to figure out how to increase the dietary fiber content of the recipe, and she references you back to pages 17, 18, 20, 21 and 22 (whole wheat, legumes, nuts & seeds, vegetables, fruits) to help you figure out what might work in this case. This section also has a page titled "Coping on a Tight Budget" and this was terrific. This page also brings out an excellent point. Nothing in the material that Sue Gregg has put together made me feel like I needed to go through my cupboard and start tossing things out. Nothing made me think that I was never, ever going to be able to afford to shop her way. In fact, a lot of her recommendations will lower costs. Purchasing dried beans is less expensive than canned beans, and certainly less expensive than meat-heavy dishes. The book also comes with a CD of PowerPoint presentations. This includes excellent photos, and a nice description of what some of the ingredients are and how they can be used. Opening up the "World of Whole Grains" presentation, there are photos of everything from dried corn to wild rice to quinoa, so if you are out shopping for an unfamiliar ingredient, you can get a visual. Each item includes a slide with text explaining its nutritional value, things to know in preparing it, and recipe suggestions. The other type of presentation on the CD is of the recipes. Each presentation starts with a photo of the finished product, and then walks you through the recipe, with pictures of the ingredients you need, of the equipment you need, and of the steps involved, along with text explaining the steps. There are also some pdf pages that explain things like the benefits of coconut milk. I use this on my Mac, but I do have to point out that it is better on the PC. On my Mac, I have to open up the individual presentations or pdfs myself. On the PC (I tried it there too), the process is more automated -- you can open up basically an index, and just click on the individual recipes or teaching presentations. And you get music on the PC too. Go to her website, read a bunch -- especially about how she started on this healthy food thing, take a tour, and try a recipe or two. She has at least ten of them readily available online, and you can learn a lot just working through those. Disclaimer: As part of the TOS Homeschool Review Crew, I did receive this cookbook for free from Sue Gregg The fact that I received a complimentary product does not guarantee a favorable review. It does guarantee a review. A fair review. But I am not going to praise something unless I think it deserves the praise. If I don't like it, you'll hear that. And hopefully with enough detail as to why so you can decide for yourself if what I hate about it makes it perfect for your family. For more about my take on reviews, visit my blog post here. No, there is nothing horribly wrong. Just a lot of stupid little things. I need new glasses. Insurance will pay for new frames as of 4/6. I decided to wait. I think that was the wrong decision, as everything just seems out of focus lately, and I easily get headaches. I'm not exactly sure how I did it, but this morning I ripped the toenail off my baby toe. It hurts. I really don't want to go to scouts tonight. Driving at night has been getting really difficult. Yet another reason I ought to just break down and get those glasses now. I'm sick of dirty dishes. I want a working dishwasher again. Sigh. I have about a dozen books started, and I just can't read for more than a few minutes at a time. I'm getting a 2x3 foot magnetic whiteboard for my birthday. So my All About Spelling Tiles will fit in one place, the way they are supposed to, and I'll get my other whiteboard back for other stuff. We have insurance. We have pretty good insurance. Other than my toe, I am pretty healthy. And no kids have thrown up on me in a few days. My kids are getting so much out of scouts, and we have such wonderful scoutmasters and den leaders. It's worth driving at night. I have dishes. I have living (but slow) dish-washers. We have food, so we end up with dirty dishes, and I truly am grateful for that. Okay, so this week's question is HARD: What do you think about co-ops? My gut instinct right now is to write a really negative post, because at the moment, my opinions on co-ops are colored by recent experiences, and things I've read lately. But that isn't fair. Homeschool co-ops come in all kinds of shapes and sizes. Some are pretty school-like. Big building, lots of classes, most teachers are certified, there are well-defined registration procedures. They may meet multiple days of the week, and they may not actually require the parent to contribute in any way aside from the payment of the class fees. Most co-ops I know of are slightly less formal than that, meeting once a week and having a couple different class options per time slot, and requiring mom to teach, assist, or otherwise make a pretty significant contribution of her talents. And some co-ops are really laid back, maybe meeting every other week, with families alternating who is "in charge" of each session, and not necessarily focused on specific "classes" but more on enrichment. Some "co-ops" are merely a couple of families who have something in common (a child doing biology this year, for instance), and the kids get together once a week to do labs. I'm sure all of the above types of situations (and others I didn't even think of) have benefits to homeschooling families. The last two sound far more appealing to me. If I could find a homeschool co-op that was just focused on PE, for instance, I would seriously consider it. I'd LOVE for my kids to have the chance to get together weekly with other homeschoolers and play kickball, or dodgeball, or baseball, or practice on a balance beam... as long as totally non-athletic me doesn't have to do a lot of the organizing. Or a co-op that did art, or music... I'd consider that too. But the really formal settings? I don't think so. We did participate in a co-op a few years ago. It was a wonderful experience. It met weekly for a half-day. There was one class choice per age range in each of the 3 or so time slots. Every mom was expected to be helping. We did some really neat things in that co-op... but I'm not completely sure it was really worth our time. It was on the far side of town, so that meant roughly 3 hours of driving on Fridays. Some of the course work was excellent. The people were wonderful. I'm glad we did it. How about you? Have you had wonderful co-op experiences? What would a perfect co-op do for you? The TOS Crew Blog is sponsoring a question of the week every Tuesday. How Do You Know if your kids are keeping up with their peers? is planned for 2/9. I plan to participate as often as possible. I was totally overwhelmed by the products I received from Math Mammoth. So this review is going to be about three of the product types: Light Blue (Richard and Thomas), Blue (William), and the Make It Real Learning portion of the Green series. Math Mammoth offers basically four different types of math products. There is a full curriculum (light blue) for grades 1-5 (6th is coming soon). There are worktexts by topic (blue) which also basically covers grades 1-5. There are worksheets by grade (gold) which contain problems only, no teaching. And there are worksheets by topic (green), which include older grades. A bit about my family and math, before I get too far into the review. I always did well in math (except geometry, and trigonometry). Numbers don't intimidate me. My husband always did well in math. My kids have all grasped math pretty easily, at least the concepts (so far, they've all been a little slow on memorizing math facts). We've used lots of different math programs. My basic math teaching theory at the moment is that I want solid materials that my kids can use fairly independently, as I want to focus my teaching time on areas where they need more hand-holding. Light Blue: I have Richard and Thomas working in the Light Blue series, aka their Complete Curriculum. I love this. On so many levels. The biggest is that I now have a few files on my computer and I can go in, print out just the pages my kids will work on TODAY, and we never ever ever have to spend time looking for a missing math book. Okay, well, that's not enough for me to heartily recommend a math program. So let's take a look at what Richard is doing. He's working in the first grade Math Mammoth book, 1A at the moment. All together, the first grade books (each grade comes with an A and a B worktext) total 229 pages. So, to get through a "grade" in a school year, the child needs to average roughly a worksheet page per day. Let's look at chapter 1, Addition Within 0-10. The first page is directed to the teacher, giving suggestions for how to demonstrate the concept of addition, how to introduce the + and = signs, and a basic overview of the approach used in this chapter. The next page includes three different math games to play with your child, using playing cards and small objects (marbles, blocks, etc.). The next two pages include the table of contents for the chapter, and a dozen or so websites where your child can go play various addition games online. Then comes the worktext part. This is so very easy to implement. Print it, read the directions, and the child can work on the page. The pages include basic colors, though we print in black and white and that works fine so far. There are 45 total worksheet pages in this chapter, and they vary nicely and build on each other logically. The chapter includes grouping objects, working with + and =, number lines, word problems, missing addend problems (5 + ___ = 8), tables, and puzzles. The child is supposed to do some of the work orally, and there are mental math sections. Chapter 2 is Subtraction Within 0-10. Chapter 3 is Addition and Subtraction Facts. And that is everything in 1A. Clearly, this is a mastery-based approach, and you are not skipping around from one topic to another, never getting very deep with any of them. You spend a good chunk of time on one topic, with a fair amount of variety in how it is presented. I love this. 1B gets a little more variety, and I can see pulling some of these topics in if I have a child who gets stuck as we are working in the first part. Chapter titles are: Place Value Within 0-100; Clock; Shapes and Measuring; Adding and Subtracting Within 0-100; Coins. So, basically at the end of 1st grade math, your child has worked extensively with addition and subtraction, including place value. And they have worked with time, shapes, measuring and coins. The Grade 2 materials are similar. There is a short review in chapter 1, then Clock, two chapters on addition and subtraction, and a chapter on money rounds out 2A. 2B includes Geometry and Fractions, Place Value to 1000, Mental Addition and Subtraction, Measuring, Adding and Subtracting in Columns, and an introduction to multiplication. The grades continue like that... grade 3 focuses on multiplication and division, plus 3-4 digit addition and subtraction. Grade 4 continues into multi-digit multiplication and long divisions. Grade 5 focuses mostly on fractions and decimals, plus work in graphing and multi-step word problems. Grade 6 is coming soon -- 6A is expected to be out in March, 6B is planned for fall. Each grade contains some other topics, I just listed the primary focus. What I like: I can print just what I need. And when Trina gets to first grade math, I can print just what she needs as she needs it too. I think the teaching is solid. I love that the games and websites are included. This requires almost ZERO teacher prep, aside from printing, which is absolutely fabulous. I am able to sit down at the table and have all four of my boys working on math at the same time, and just switch between them as needed. Obviously, I need to spend more time doing things like reading directions to my 5 year old. I desperately needed something that is systematic and EASY for me to teach. The Math Mammoth Light Blue series sure seems to fit the bill. And it is pretty inexpensive. Just under $30 for a complete grade (the A and B books), and you can use that for all your kids, and you don't have to buy replacement workbooks, nor do you have to find a place to store them on your shelves. Oh, and for the Grade 1 materials, the money section is in US money, but included in other pdf files are alternate Chapter 8's -- one in Canadian currency, and one using Euros. The measurement chapter includes both inches and centimeters. In the supplemental folder, you get chapter reviews, chapter tests, and a worksheet creator, so if your child is not getting enough practice on a concept, you can easily give them more. Similar materials (alternate money, reviews, tests, worksheet generators) are available in the other levels also, and standard and metric measurements are taught throughout. The Blue Series. Math Mammoth generously sent a couple of their Blue Series books for William to work in, and I already owned (but hadn't used) a couple others. The Blue Series is topic-based worktexts -- which means there is teaching included. William is working in the Division 1 (meant for 3rd grade), and Geometry 1 (4th-5th grades), but I also pulled out Add & Subtract 4 (grades 3-4) and Clocks (grades 1-3) to look at for this review also. The Blue books vary in length, and price ($2-$7 per book). I'll focus on Division 1, which is 71 pages and costs $3.50. This book also starts off with information for the teacher, including websites. The worktext is split into 13 sections, each consisting of approximately 4 worksheets. These build on each other logically, and includes learning the vocabulary of division. For William, the Blue series was perfect. He wasn't quite ready to jump into the 5th grade Math Mammoth book, because he has a couple topics he just hasn't worked with enough. Focusing on a single topic works well right now. I hope to get him into the Light Blue series too, though, in the next month or so. Finally, Make it Real Learning. Wow. I am so excited about this series, and I absolutely will be getting more of these. There are currently 11 titles in MIRL, plus the States by the Number series, and they cost $4.99 each. I own five titles (Arithmetic 1, Linear Functions 2, Periodic and Piecewise Functions, Polynomial, Power, Logistic and Rational Functions, and Quadratic Functions 1). 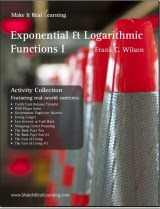 The series also includes other titles, all the way up to Calculus 1. Most of the books are at the Algebra I (and up) level. The idea in this series is to use REAL data, REAL issues, and to create REAL math problems to work out. Connor is working through Linear Functions 2, and so far he has done a bunch of graphing and solving to figure out how to make GORP (trail mix) within certain specifications for someone who is diabetic. He has created linear inequalities relating to investing in stock using three different scenarios (Nintendo & Sony, McDonald's & Burger King, Aeropostale & Abercrombie and Fitch). He has figured out price points to make money selling nuts. He has graphed and solved equations for which car to rent on vacation (factoring in rental costs and miles per gallon). And he has graphed out equations to determine whether someone should drive their own SUV or rent a car with better mileage for a trip to Orlando. We still have three more problem sets to work through. He LOVES this. While he doesn't need to count carbs, nor is he ready to be renting a car, he is seeing the practical use of linear equations by working through these. And the problems really, really make him think. He is used to sitting down and pounding out his math pretty quickly. The MIRL sections, with about 5 problems in total (write an equation or inequality, write another one, graph it, solve it mathematically) actually require him to think things through. They aren't as clean and neat as most textbook examples. It is fabulous. Overall? I have looked at Math Mammoth a number of times in the past, and now I am really sad that I didn't try it out before now. I LOVE the Light Blue books (the grade level worktexts), and I think the MIRL set is absolutely marvelous. It is easy for me to use, and I really love having it in electronic format. I will be purchasing more of these, and Math Mammoth will be the spine of my elementary math program. Disclaimer: As part of the TOS Homeschool Review Crew, I did receive a number of free products from Math Mammoth. The fact that I received a complimentary product does not guarantee a favorable review. It does guarantee a review. A fair review. But I am not going to praise something unless I think it deserves the praise. If I don't like it, you'll hear that. And hopefully with enough detail as to why so you can decide for yourself if what I hate about it makes it perfect for your family. For more about my take on reviews, visit my blog post here. When I saw that Apologia was one of the vendors for the TOS Homeschool Crew, I was really excited. I hoped I'd receive something, and I hoped it would be something I didn't already own. Of course, since I own a lot of their products already, that could be difficult... Science? I own most of the elementary books, and some upper level. Geography? Own that. 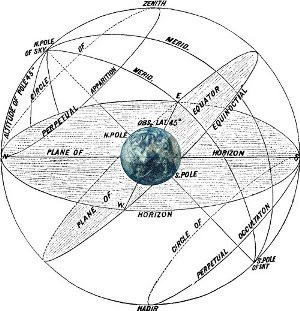 Apologetics/Worldview? Prayed for this. Writing? Nope, don't have that. Resources for Parents? Huh, when did they start carrying all of this??? Well, I was on the list, and the book they sent, The Ultimate Guide to Homeschooling by Debra Bell, is not one that I own. Very readable, most chapters are short and to the point. The long chapters are broken up pretty well, and those tend to be fantastic resource lists. She doesn't assume homeschooling is the only option, and doesn't sugarcoat things. I love resources that do point out the frustrations and downsides of homeschooling in a realistic way. And she has a separate pros/cons list for homeschooling your teen. Her library chapter is excellent, with suggestions like checking out materials you are considering purchasing in order to evaluate them. I'll recommend the same for this title -- check it out at the library, then decide if it is something you'd use enough to justify the purchase. Her organization chapter is realistic, with assurances that having school stuff invade most corners of the house isn't necessarily a problem. Her planning chapter includes a list of goals she had one year -- and includes her notes about not meeting all of those goals. I particularly liked that she was not setting herself up as being perfect. Of course, even creating such an extensive list causes me to hyperventilate. There's an awesome little section on making the learning relevant. My favorite chapter is over SEVENTY pages long, and it goes through suggestions for all the core subjects, for primary, elementary, and secondary ages. This chapter is the reason I am glad to own this book. It makes me think. In the section on teens, she does a nice, basic overview of issues relating to planning high school, transcripts, and college. The final section is an extensive list of homeschool organizations, suppliers and resources. The first section really made me feel inadequate. Thinking it over, I disagree with a number of her assumptions about what qualifications you need to homeschool. There is a Family Inventory at the end of the first section that you are to take to determine if you have what it takes to homeschool. She doesn't give a grading scale, but we certainly failed. We don't have a lot of money to spend on school, we don't have consistent bedtimes, my house is generally pretty chaotic, we don't have art supplies readily accessible, my husband is not terribly involved in our school, I don't have support groups and co-ops, and so on. On the other hand, I do think it is really important to think through some of these less than ideal aspects of our life and figure out how we'll "make up" for any deficiencies. I don't happen to use a lot of textbooks, but her tone about textbook use was over-the-top, in my opinion. She is a strong proponent of raising independent learners. I don't disagree with that exactly. But I want to be involved in literature discussions and history discussions and worldview discussions... not just with my elementary aged kids, but with my high school students too. I don't want them to do junior and senior high independently. This book made me feel guilty for not pushing them towards more independence. And for not pushing for that independence much earlier. She is an incredibly strong proponent of co-ops. Co-ops are her answer to most homeschooling problems (Mom feeling burned-out? try a co-op. Worried about socialization? try a co-op. Need some competition? try a co-op. Have a reluctant learner? try a co-op. Want to encourage team-work? try a co-op. Don't know how to teach algebra? try a co-op. Need another mom to talk to? try a co-op.) I didn't choose to homeschool so that I could drop my kids off at a co-op, and spend half our at-home time hassling them to do their homework. Overall, I think this is a good book. Is it worth $20? I don't know. It is a pretty easy read, it is well-organized, and there is a lot of information. My recommendation would be to check your library. If they don't own the updated & revised version (the one with the bright orange cover! ), figure out how to request that they purchase it. Read through the book, and figure out for yourself if it is a resource you want to own. You can also visit the Apologia website to read the table of contents and Chapter 6. Disclaimer: As part of the TOS Homeschool Review Crew, I did receive this book for free from Apologia. The fact that I received a complimentary product does not guarantee a favorable review. It does guarantee a review. A fair review. But I am not going to praise something unless I think it deserves the praise. If I don't like it, you'll hear that. And hopefully with enough detail as to why so you can decide for yourself if what I hate about it makes it perfect for your family. For more about my take on reviews, visit my blog post here. This week's Blog Cruise question (well, there are two... I'm not going to answer the one about homeschooling with a baby) is "How do you handle multiple ages?" Combining your kids, getting around to everyone, or making sure everyone is learning can be accomplished in a lot of different ways. What works for me today may not work next month, and what worked a year ago, now, or six months from now FOR ME, may not work for you ever. I can't do it all. I have to let go of the idea that I can. Focus on the one or two things that each child truly needs right now. Figure out what they can do on their own. "Hire" help -- whether that be a sibling, an audiobook, a DVD, something online, or whatever. Pray about what to give up. Because there isn't room to do it all. 1 - Even if you are only homeschooling one child, you aren't going to get to everything you think you should. But especially if you are homeschooling a passel of kidlets, you just can't do it all. It is likely that someone is going to get shortchanged and someone will be in over their heads. But you know what? Somehow, it still works out. 2 - What I do when I'm trying to plan out a school year is to take stock of what each of my five kids really and truly NEEDS right now. I feel strongly about investing my time into their biggest areas of need. I'm feeling the need to reassess anyway, so I'll walk through that. Connor (7th) needs to do some serious writing instruction. And spelling. William (5th) needs to really focus on his reading, and he needs something systematic for math. Thomas (3rd) needs to work on something systematic for reading and math. Richard (K) needs to work on handwriting, and he needs me to find something to challenge him in math and reading. Trina (age 3.999) needs to have something that feels like "real school"
So that means I need to figure out what to do for those individual needs. That is where the bulk of my one-on-one time goes. 3 & 4 - After I allocate my time to their greatest needs, then I can figure out how to make everything else work. What subjects do they need to cover? What of that can they do on their own? Connor is taking Latin online. He uses a video-based math program where he really doesn't need me to do much. William is using Explode the Code online. We always have an audiobook for read-aloud time. 5 - What can I combine? We do Bible as a family. We do family read-alouds. We tend to do history as a group. Connor is doing his own thing for science, but I combine the next ones. We're doing Artistic Pursuits all together. If I can make something work for more than one child, it is a better use of my time. 6 - Then I look at the remaining holes and pray about how to fill them. Or if. Not everything needs to happen right now. Some things can wait. Some things can be done less frequently than I'd like. But praying over my priorities helps me avoid a lot of mistakes. You can read other responses here. The TOS Crew Blog is sponsoring a question of the week every Tuesday. How Do You Handle Multiple Ages? and How do You Homeschool with a baby/toddler? is planned for 2/16. I plan to participate as often as possible. I know, I didn't even bother posting last week. So here is my report on the last two weeks. We've been sick. If being thrown up on counts as exercise, I've been exercising regularly. 1) I will move every day, and at least two days I will "do" exercise. 2) I will get in a glass of plain old water (our glasses are 12 oz) every day. 3) I will check in every Friday, whether I met my goals or not. I will tell how I did, and I will adjust goals for the following week. I will. This is going to be a mish-mash post. Some random updates about how things are (or aren't) working. Grapevine Bible Studies has a new website. I really, really want to purchase their New Testament materials, but we don't need them yet. I continue to be so totally impressed with their product. I reviewed them last summer. Math Score, which I reviewed here, has been incredibly frustrating for my 5th and 3rd graders. I have played with the "padding" (extra time given per problem), finally realizing that a) their typing skills are not that great, especially with numbers, and b) they are on a laptop, without a 10-key pad, which does make it slower still. I don't care (for the purposes of this program) whether or not their typing is fast. I want them to be able to work on answering the questions. Increasing the padding has made a world of difference. My oldest son, on the other hand, is cruising with Math Score, and this has been a totally fabulous program for him. MathScore did upgrade their program a bit, with more intuitive reporting, and more topics available in individual grade levels. I hope we can continue to use this program for a long time to come. Mathletics, which I reviewed here, has announced World Math Day for 2010. It is to be March 3. Go here for more information, and to register. It's free. You have to register by March 1. William wants to learn Latin. We sat down with a bunch of the choices we own, and a potential Review Crew product... and I let him decide. So he has started Lively Latin. If we get The Great Latin Adventure, he understands that we will be dropping Lively Latin to complete our review, and then he can decide which to continue. When I found out that I was going to be getting the entire Eclectic Education series from Dollar Homeschool, I was really excited. There is a lot of stuff included in here. 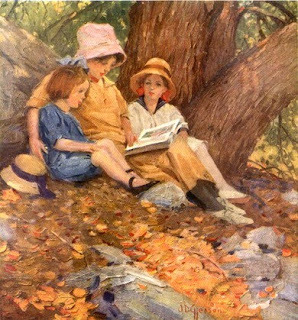 The Eclectic Education Series (EES) is a set of textbooks which from roughly 1865 to 1915 WAS education in the United States, almost exclusively. They were the standard textbooks in many states and were chosen independently by over 10,000 school boards as their standard textbooks. The EES covered every topic. Some of the series are still household names almost a hundred years after they ceased being used. These include McGuffey's Readers and Ray's Arithmetics. There were many other extraordinary series in the EES such as Pinneo's Grammars, Thalheimer's Histories and Norton's Sciences that were used by countless students. So, let's take a look section by section. First, the McGuffey's Readers Set includes a total of 19 books (most are listed here) and is available to purchase for $39. We used a few of these titles (Primer, First Reader, Second Reader, Third Reader, Fourth Reader, Word Lists, and Eclectic Speller). For Connor (7th grade), I had him start with the 3rd Reader, reading aloud to me. We did some of the intro work, and a couple of lessons. Then we decided to try the 4th Reader. That was a much better fit. What I like about the Fourth Reader is that each lesson includes not just the reading passage, but also some questions and usually some vocabulary. The reading material was still fairly easy for him, but what I'm looking for is something for him to practice oral reading. Something where he can work on expression. With 90 total lessons, this isn't a book that would have to take an entire year, but it could. We will continue this. The vocabulary used is amazing. Going to a random page, the vocabulary for lesson LVII includes character, purpose, principles, capacity and sordid. This lesson includes "exercises" (basically a set of questions, which could be discussed orally or made as essay topics), including: "What is meant by the phrase 'to apply himself' in the fourth paragraph? What is meant by 'a generous manhood,' tenth paragraph? By 'expansion of soul,' twelfth paragraph? Tell what is meant by 'good will,' as taught by this lesson. How did Tom and James differ in character?" I'm going to skip down to my youngest son. Richard, age 5, started working with me in McGuffey's Primer. And what I found with him was that this moved pretty quickly. Lesson 1 has you reading 'sentences' like "A cat and a rat." Lesson 10 has you reading sentences like "The lad can not catch it." We're going to come back to this in another few months. Overall, I'm glad to have these readers. I like them, in general. It is frustrating sometimes to have to explain the archaic punctuation and spacing conventions. The vocabulary is often very old-fashioned sounding. Sometimes it is frustrating to be reading a word like Thibet and having to explain that apparently, that is how we used to spell Tibet. But I do like the series. The stories have solid morals, and there is certainly higher expectations for students than what is found in typical readers. The Eclectic Speller makes an amazing source for vocabulary study. From the very first lesson (short vowels), you are seeing words that I have to look up. Words like gad, wen, and jib. (Okay, so I "know" what a jib is, but I wouldn't have been able to define it. And after looking up gad, I did know that one too. And wen, well, I cannot even imagine the situation where I would use it in a sentence.) If you follow the suggestions in the Manual of Methods (a book for teachers), you would start using Eclectic Speller when your child is in the Fourth Reader, and use it over three years. I found this to be quite a relief, as other materials I have used in the past suggested starting the Eclectic Speller already in first grade. I felt like a total failure attempting that. We are loving the McGuffey's portion of Eclectic Education. One downside though is that the pictures are not as good as they are in the books I have purchased. So far, that hasn't been a problem for us, but it would be much nicer if the illustrations were copied better. 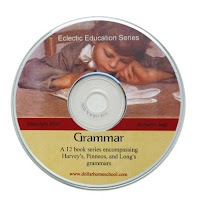 The Grammar Set includes a dozen titles in the Long's, Pinneos and Harvey's series, and is available for $39. I was familiar with Harvey's (I own the first one) but had never seen nor heard of the other two. Looking them over, I really do like them. Long's is intended for the youngest of students, and includes a mix of written and oral work. Pinneos is intended for middle students, and it just seems so straight-forward and easy to use. Harvey's is intended for more advanced students, and again, is pretty free from fluff. One issue I do have with the grammar books is the teaching of rules that are no longer considered to be rules. Sometimes it is hard to sift through all of that, particularly in an area where I don't feel wholly competent. We will be using these though. The Ray's Arithmetic Set includes 38 titles (counting student books and teacher books), and is available for $59. One huge bonus of purchasing this product for the Ray's Arithmetic is that the answers are not included in the students books, which means you could use it as a worktext instead of making the kids copy out the problems. Big, big bonus in my household. I have heard good things about Ray's at the early levels, and I'm sure from what I looked at that it is a solid program. I am seriously considering using Ray's for elementary ages. I have also heard not quite so positive things about it for more advanced levels, and I don't really plan to be looking into it beyond elementary ages. Ray's was specifically reviewed by a number of my crew mates, so check the link below if you are interested in this set. The Science set includes thirteen titles (scroll down on that page) and is available for $39. There is some great stuff in here... but it is old. Most of the materials included in Eclectic Education are intended for high school. I really like the First Year Science, and have started going through that with my older two (5th and 7th). The Nature Study title is also fantastic, and I plan to incorporate some of that in our schooling. The History Set includes around 20 titles and is available for $39. Obviously, these end quite some time ago, being written in the late 1800's. The main history parts include Thalheimer's (six titles, ranging from Medieval History to the History of Scotland) which seems to have particular boy-appeal. The US history title in this series goes through the Garfield administration. We have used some of the Ancient History title, and one thing I like is that each book is logically organized. Ancient History is divided into 5 "books" (Asiatic and African nations; Persian Empire; Grecian States and Colonies; Macedonian Empire; Rome). It was easy to just go to the appropriate book and pick up where we were already studying (Ancient Egypt), and to just work through the numbered sections at that point. Each little numbered section is focused on a single main point, and most are 1-2 paragraphs in length. Another history title in the history set is Andrews Constitution, which looks like it will be a fantastic resource for creating a government credit for high school. Most of the other titles in the history set aren't really history, but there are some great ones in there. I particularly like the American Poems title, and will be making use of this when we get back to US history. There are roughly 80 poets, and each one has a biographical sketch included, along with one or more poems. The book is arranged basically chronologically, and includes a number of poets I've never heard of. I'm also very interested in using the Rhetorical Reader. This is really two books in one. The first eighty pages include a series of exercises in speaking, or reading, aloud. They have you practicing emphasis, inflection, pitch, pauses, and far, far more. The second part of the book (300 pages) consists of selections to be read aloud. There is also a series of five books called the Progressive Course in Reading. The first three in this series focus on younger readers, and really seem to be "just" another reader. The fourth and fifth books, however, are meant for the student to practice reading aloud for others, and these include some great stories from history, science, and literature. The entire set of the Eclectic Education Series is available for $159, which is $56 less than if you purchase each separately. There is lot in here, and I am glad to have it. It is an electronic product, so you'll either need to print it out or work from the computer screen. Most of these titles are available as free downloads online, but the advantage of purchasing the set is that you don't have to try to track down all the individual items. A couple other cons to point out. One is that the quality of the illustrations varies, particularly in the younger readers. Another is that there are some missing pages. If you contact Dollar Homeschool, they are pretty good about getting you a pdf for those pages. However, if you are using the materials on screen, it is one more file to keep track of. And it bothers me that they know there are problems with missing pages, and they are not (to my knowledge) fixing it for everyone -- I have not requested the missing pages, mostly because I want to see if I get them or not. I'd be very upset if I spent $159 for this bundle, and the company was knowingly sending out incomplete products. Since this product covers so many different individual books, I think reading a lot of the reviews will help you to better determine if this is good fit for your homeschool. Disclaimer: As part of the TOS Homeschool Review Crew, I did receive Eclectic Education from Dollar Homeschool for free. The fact that I received a complimentary product does not guarantee a favorable review. It does guarantee a review. A fair review. But I am not going to praise something unless I think it deserves the praise. If I don't like it, you'll hear that. And hopefully with enough detail as to why so you can decide for yourself if what I hate about it makes it perfect for your family. For more about my take on reviews, visit my blog post here. Do you want to be part of the TOS Review Crew? Well, now is the time to start praying about it... and to start doing something about it too. The Old Schoolhouse has started the process towards choosing their 3rd Review CrewS. Yeah, that it plural. There are going to be two of them next year... one focused on the younger ages, and one on the older ages. You have about a month to get some demographic information in to TOS. You can read about it here. Why should you try out? Well, I can tell you that being on the Homeschool Crew has been a tremendous blessing for me this past year, and I really look forward to continuing the adventure. That I'd end up having to use a lot of materials that don't really fit in with my goals and plans for my kids. Well, the first point -- yeah, I have ended up using some materials that don't really fit in with my goals and plans for my kids. But for the most part, either we didn't really have to spend that much time with the materials, really, or it turned out that it was exactly what we needed. Some of the vendors have given us choices. Bright Ideas Press for instance (one of the major reviews I've done this year) had us list two products we were interested in reviewing. Some vendors have allowed us to "opt in" so if we don't want to change our phonics approach, we wouldn't receive Rocket Phonics, for instance. But the biggest thing... the Crew leaders put a lot of prayer into the process. A lot of prayer. Yes, that has meant that at times I have a pretty lengthy list of "to write" posts. Yes, sometimes that is stressful. But it has not completely taken over our lives. As for having a "good enough" blog -- I still feel woefully inadequate there. I don't get anywhere near the traffic that some of my crewmates get. The other concern I know many have is whether or not they can write a "good enough" review. Please, don't make a decision based on reading my blog though. Go check the TOS Review Crew blog, pick a product you are interested in, and read through a couple dozen of the linked reviews. You'll see that some people write short & sweet reviews. Some have incredibly organized reviews that follow the same basic format, giving pros, cons, and ratings. Some people give tons of information about how it worked in their family (uhhh, like me?) and some don't. What you won't see is that some of the crew members don't even have blogs -- they share information with a local homeschool group, for instance. If being on the Crew even remotely intrigues you, I'd recommend going to the website, praying about it, and filling out the demographic information. Maybe you'll be able to get a couple free TOS products to review. And if you bathe the issue in prayer, you won't make the Crew if it isn't what God wants for your family. So here is week 5 of what I've been reading in 2010! Tithing: Test Me in This by Douglas Leblanc. Part of the Ancient Practices Series, I was really interested in reading this title. I'm not sure what exactly I expected, but this wasn't it. I think I assumed there would be lists of Bible verses telling me that we are commanded to tithe, or a long discussion about whether or not a tithe means 10% of your gross or your net paycheck. Instead, Douglas Leblanc has 11 uplifting chapters that tell the stories of people who do tithe. He interviews people from very different places, including different faith traditions: Orthodox, Roman Catholic, Jewish, and Protestant. This is a very easy read, and it really made me think. I do wish there had been at least one chapter truly dedicated to the Biblical basis for tithing (some is woven into the stories), and/or one focusing on the historical aspects. Regardless, this is a book I'm glad to have read. And it is one I will reread. Disclosure: Thomas Nelson provided me with a complimentary copy of this book for review purposes. No other compensation was received, and all opinions are my own. The Iliad: Connor has this assigned to him over four weeks, and I am reading along. Still. I thought we'd be done by now. America-- The Last, Best Hope Volume II by William J. Bennett, my current audio book. Okay, so this week's question has been haunting me: How do you know if your kids are keeping up with their peers? My problem with trying to answer this question is, well, I don't care whether or not my kids are keeping up with some arbitrary standard set by the public school beauracracy. Maybe that is because I can readily see that comparing my kids to others their age around here isn't going to tell me anything. Connor, for instance, may be years ahead of some of his peers in math. So what? Is he making forward progress NOW? Is he being challenged? Is he growing? That's what I need to know, not how he measures up against somebody else's 12 year old. Or William and his reading. Comparing him to his peers depresses us both. No, he is most certainly not keeping up. So what? Is he making forward progress NOW? Is he being challenged? Is he growing? That's what I need to know, not how he measures up against somebody else's 5th grader. Comparisons are totally natural. I get that. It started the day they were born, and we moms discussed how much they weighed, how much they ate, how many dirty diapers they had. It continued to whether they had their first tooth, when they started crawling, and how many words they could say. So naturally, measuring them up against their peers is something that we really do whether the results mean anything or not. My son is taller, your son has a firmer handshake. My child won the spelling bee (that statement is totally unrealistic for my family), your son writes amazing poetry. And maybe some of that comparison is healthy. Watching another child confidently interact with adults, including a solid handshake (you know, not involving staring at both hands, trying to remember which hand to use) made me realize that this was something we needed to practice. And that is a good thing. Back to the math and reading examples I gave above. Knowing that Connor is at the 99th percentile in 7th grade math tells me nothing of value. Maybe he ended up totally lost midway through algebra (totally hypothetical here). So, as a 7th grader, he'll score well. As an 8th grader, he'll score well (having learned NOTHING new). As a 9th grader, his scores might start to fall. By that time, we've wasted 2-3 years. What I want to be able to compare is how he is doing compared to himself. Or William. Knowing he is behind other 5th graders doesn't really help. Let's say he is at a 3rd grade reading level. Did he make a year of progress this year? If he keeps doing that all the way through high school, it would mean he's at a 10th grade reading level upon graduation from high school. And while there is a huge difference between a 3rd grade and a 5th grade reading level, the difference between 10th and 12th grades is nowhere near as striking. But if every year, we get down because he is "behind," where does that leave us? I'd rather spend each year celebrating a year's worth of progress, and not stressing about being behind anyone. This child is not destined to record audio books, or to otherwise make a career out of reading aloud. And while I'd love for him to be "caught up" the truth is that comparing to himself is the only measurement that truly matters. I think that if you have figured out a good course of study, that the best thing is to try to figure out how much they are learning this year. Not to figure out if they are keeping up with the Joneses. All that being said, standardized tests are one way of getting a clue as to how your child compares to others. Colorado requires me to test my kids in odd grades, starting with 3rd. So this spring, I'll be testing three of them. But I really think it is a waste of money, as how they are doing compared to their peers is not something I truly care about anyway. When asked to review their site, I immediately started searching by curriculum provider, for Sonlight books. It seemed like such an obvious place for me to start. And one thing I immediately loved was that when you click on Sonlight Curriculum, the next page is links for each of the core levels, from P3/4 to 530. Clicking on P3/4 (as I have been using that with my youngest two, and we don't own all the books, and I have a couple birthdays coming up), I want to purchase the very first book... the Robert McCloskey Collection. This title was a part of Core P3/4 (it has since been replaced by Make Way for McCloskey, apparently... I did not know that until I started writing this review). So point #1: This site will include books that used to be part of various programs, which can be a very, very good thing for filling in gaps, or for finding additional reading materials. The next couple of titles are both Make Way for Ducklings, which are not precisely included in P3/4. Point #2: They don't limit themselves to the exact title or version that is suggested by the curriculum. If you don't like having to figure out different page numbers, this may not be a good idea for you. If you are fairly flexible, it opens up some great options. In this case, it is the same story, same author, just an individual book instead of part of a collection. The next title is Nana Upstairs, Nana Downstairs. This appears to be exactly what Sonlight sells. I wouldn't know, this is one we've checked out from the library instead of purchasing. Then comes The Ugly Duckling, which is one of the stories in one of the fairy tale books in. Point #2a: in some cases, the book that appears on the list is a completely different version of something, but could still be a very nice addition to your program. Point #3: there are a couple dozen book titles included in P3/4, only a few of those are presently available at Homeschool Library Builder. So this is not likely to be a one stop shopping experience. However, you never know what you might find. Overall, I like the website. It is easy to navigate, easy to understand, and I love the idea of supporting fellow homeschooling moms. In February, they are offering 20% off all month. And if you act quickly, they are also doing a promotion for the Superbowl. If you donate to Heartline Ministries by Saturday night, and email HSLB to tell them you donated (you don't have to say how much), you will get an additional 15% off on Super Bowl Sunday (35% total). (The former CPA in me has to point out that if you itemize deductions, there was a law passed recently that will allow Haiti donations to be included on your 2009 tax return too... so if you need an additional deduction, well, you can get one and a discount on books too! This is not tax advice... please do your own research!!) Details about these promotions are on the Homeschool Library Builder home page. Disclaimer: As part of the TOS Homeschool Review Crew, I was asked to review this free membership, but I did not receive any compensation. The only way I may receive any compensation is if someone chooses to join and gives my name as a referrer. All opinions are my own. For more about my take on reviews, visit my blog post here. How come Veggie Tales makes me cry? We put in a Song DVD that randomly chooses the songs this morning. "My Day" came on while I was fixing oatmeal for everyone... Junior is so sweet. I cry every. single. time. I hear this song. I somehow overlooked my bed. It seems my dog is underfed. Forgot to change my underclothes. Watched one too many TV shows. I had some trouble sharing toys. And during rest time made some noise. Sometimes I'm off-key when I sing. How much You love me. It's true. The Bible says You do. Your love was with me all throughout my day. I rest in knowing -- God loves me. Sniff. Sniff. If you have never seen this song, you really need to. It is the one redeeming feature of The Wonderful World of Auto-tainment (in my opinion) and is on the Bedtime CD (but seeing it is so much better.) I'm sure it is on you-tube or something, but I'm not finding it to link it. It seems my kids feel underfed. Forgot to wash that load of clothes. Read one too many new blog posts. So during school snapped at my boys. But I'm just sick of all these things. (This post contains Amazon affiliate links) And I don't know what I messed up with formatting. Sorry!